What Does a Probate Court Do With a Will? A probate court is a legal venue for authorizing the terms of a will, or determining how the assets of an individual are distributed to heirs after his death. When an individual dies without a will, the probate court divides assets according to state law. 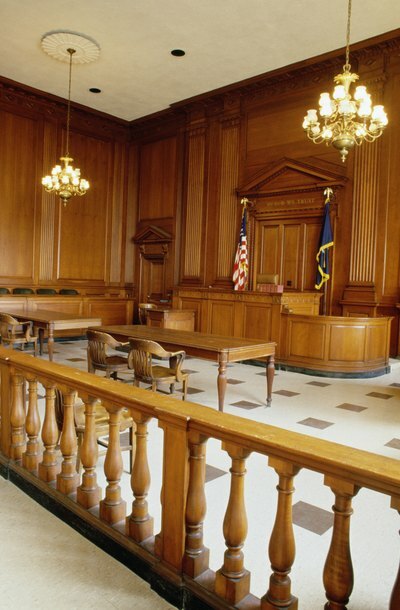 Probate court is also the venue for appeals or contests of existing wills by those with standing to do so. The first step in the process is filing the will with the court after the death of the testator, or the person who wrote the will. The court clerk examines the will to ensure that it has been signed and witnessed. The clerk may also require that witnesses to the will sign an affidavit, or appear personally and under oath, to state that the testator was competent to write the will, and knew of its provisions. The court then approves the personal representative, or trustee, who is appointed to carry out the terms of the will and the intentions of the testator. This individual is usually the person named as the executor in the will. If no will exists, then the court appoints a personal representative. If a will exists but does not designate an executor, then the court appoints a close relative, often a spouse or the children of the testator, to fulfill this task. If state law requires it, the clerk or executor publishes a notice in local newspapers that notifies creditors and other interested parties that a will has been entered into the record, and setting out the length of time that all parties have to make claims against the estate or contest the will itself. If anyone contests the will or any of its terms, the court holds a hearing to determine whether or not the will is valid, or if a different will should be established. In some states, this process must be carried out by a jury trial. In other states, a probate judge makes the decision. After the will is legally established, the personal representative or court-appointed trustee draws up a full accounting of the estate, which the court must approve. The representative identifies the assets, pays valid debts and divides the estate according to the terms of the will. The representative/trustee must also handle the payment of estate, inheritance and/or gift taxes due to the federal or state tax authorities. The court also authorizes the payment of fees to the representative/trustee, as well as court costs, out of the estate, then closes the probate process and dismisses the personal representative/trustee from his duties. Most purchasers of real estate use a third-party lender, such as a bank, to finance the purchase. The lender requires security for the loan so that if the borrower defaults, the lender can seize the real estate and sell it to repay the loan. Two legal devices are used in different states -- the mortgage and the deed of trust. Texas is a deed of trust state. What Does "Enter a Decree" Mean for a Divorce?